A few things happened this week which made me proud to be able to help people. I’ve given a few people belief in themselves to go for what they want, to believe in themselves. To shoot for the stars. 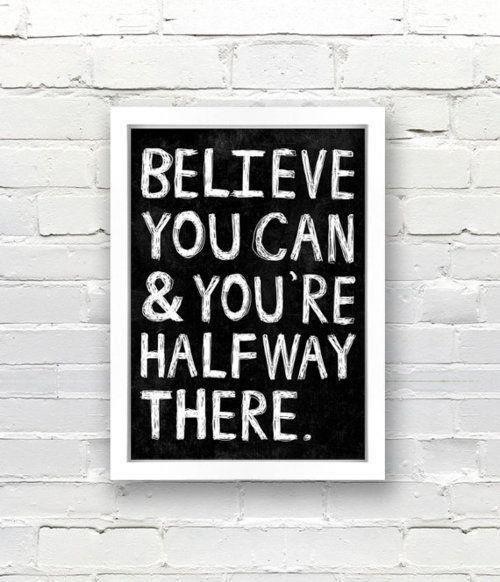 To believe in themselves and push for what they want, and hopefully to achieve great things. 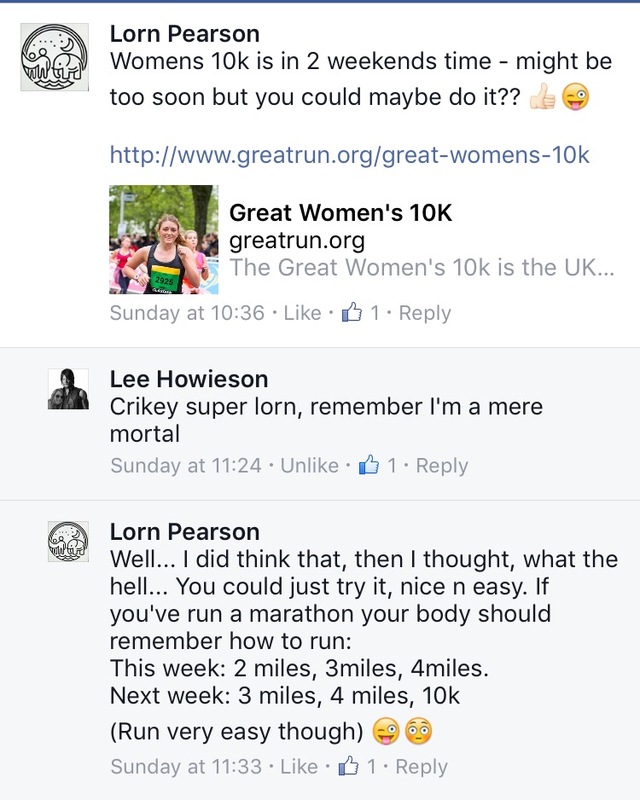 First there was a colleague at work – now I didn’t even know that Lee had ran a marathon before. But when I read this, I felt I had to reply. In my experience, anyone who has run a marathon will be able to pick up running again. Their body and mind will remember how, and their hundreds of miles of training for that big day, and the big 26.2 miles itself will be with you forever. 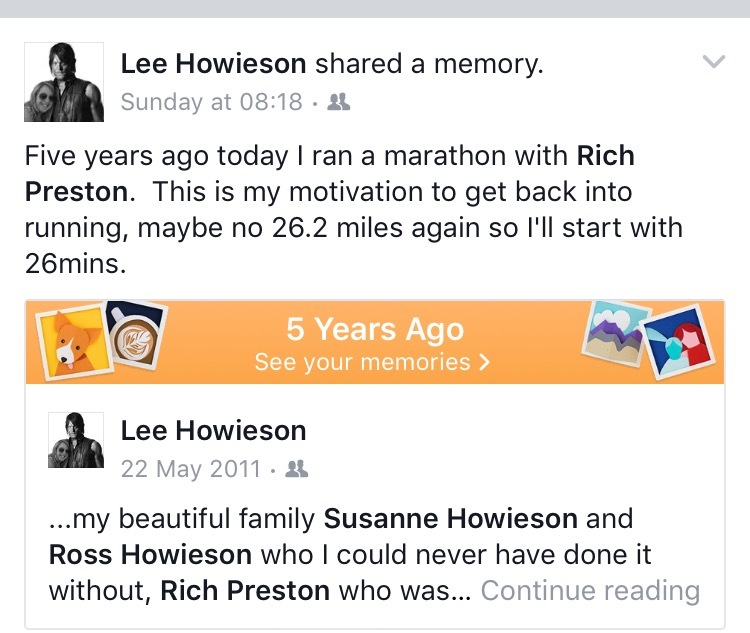 So when Lee said the Facebook memory from 5 years ago was going to motivate her to run again. I thought, why not suggest she goes for the women’s 10k in 2 weeks. (I wouldn’t suggest this for a beginner, to train for a 10k from zero in 2 weeks), but for someone who’s run up to a marathon in the past, it could be achievable. Just be careful not to over do it, take plenty rest, listen to your body and avoid injury. 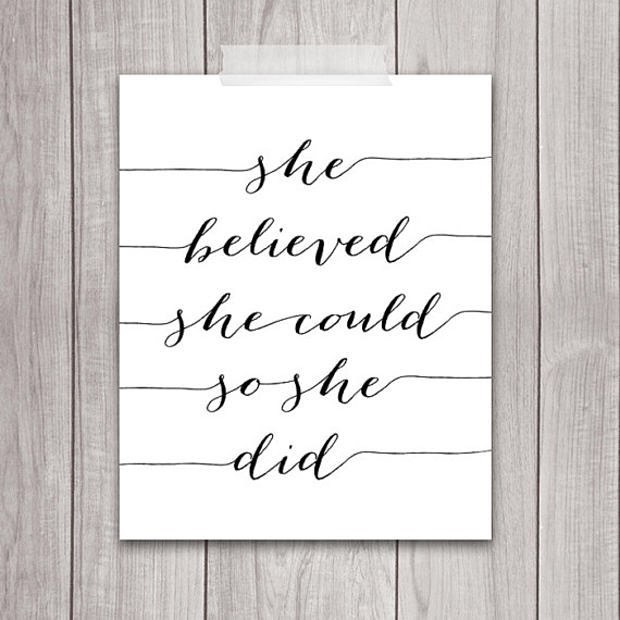 So she thought about it (and maybe she knew deep down she could do it), and she is doing it. 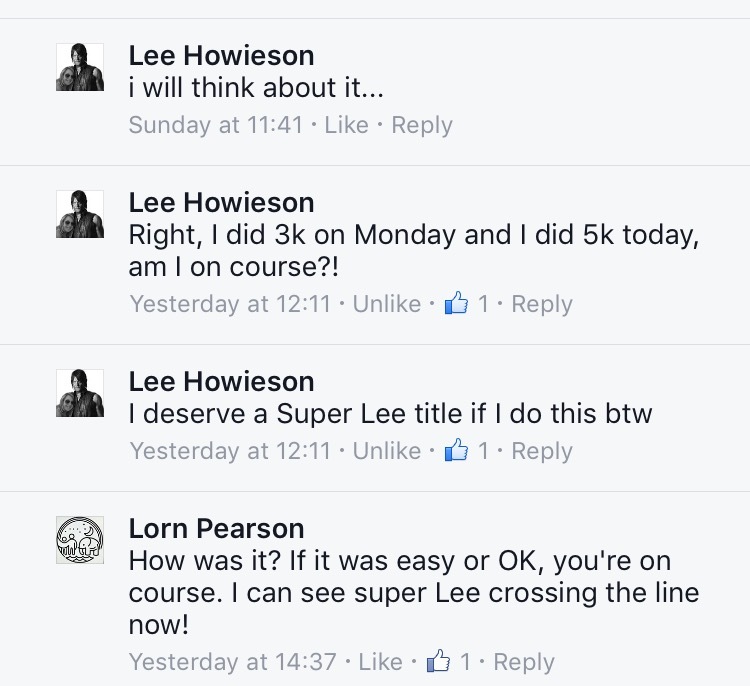 😀 Super Lee is on track and is really doing it. All it took was a bit of belief (and some knowledge from her running before), and I have every faith she’ll do it. (And if she doesn’t, no harm, she can do it over a longer run up). Around 6 months ago when we knew she’d secured redundancy she said to me, ‘I’ll need to get another job in a month after leaving. Another office job’. She’s always worked and it’d feel weird not to work, so I know what she means. But she doesn’t need to jump straight back into ANY job. So I suggested she maybe takes some time out to think about what she would REALLY LOVE to do. She likes being active, loves being outdoors, loves dogs, relates well to all kinds of people. So I suggested dog walking (along with other suggestions). I believe/d she could set up her own dog walking business and make a success of it. She works hard, she puts her mind to anything she does. And I thought with my support, she could do anything. She might need to learn some things along the way, but she could do it. A few months later, she decided she’d try it. We started researching what she’d need, met and chatted to other dog walkers and she’s signed up for a few courses. We went to a short Business Gateway seminar where it talked about what was stopping you from following your dreams. The seminar was good and gave lots of helpful information about how to set up your own business and make a success of it. Addressing fears, answering questions and even if the business doesn’t work out, what’s the worst that could happen? Start again and get another desk job? No biggie. So over the last few months we’ve researched and written her business plan. And got a business advisor from Jobs and Business Glasgow. 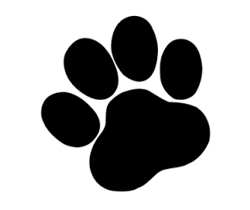 FG going to shadow / help other dog walkers to see what she can learn to make it a success. 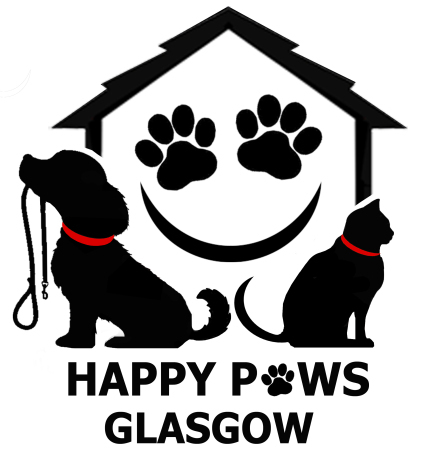 She made up her business name: Happy Paws Glasgow. And I set her up wth a brand, logo and (a draft) website and Facebook page. So now instead of today being a scary end for Fit Girl, it’s turned into an exciting new start instead for her. And I’m proud of her and proud I’ve been able to help. I have every faith that she’ll be able to do this and make it great. She’ll make a good go of it I can imagine it’ll be really rewarding for her. And maybe, just maybe, we could get a dog of our own sometime too!